We’re in the era of convenience, which is why we’re seeing megacorps like Google coming up with their own gaming solution that is ostensibly more convenient and easier to use. Unanswered questions leave some doubt that increased convenience doesn’t come with its own share of inconveniences. I talked about how Google Stadia looks flashy, but might have some glaring issues in practice. I’m not here to talk about the streaming future again. One of the biggest barriers I see for Google Stadia is brand loyalty, as companies like Sony have players firmly invested in their ecosystem. As we move into next-gen, the one thing I want more than anything is backwards compatibility… kind of. 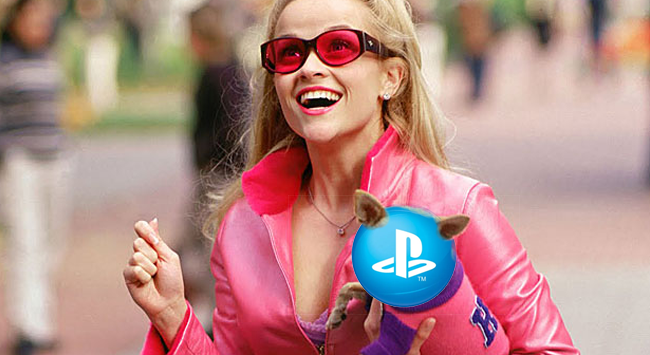 What I really want is Sony to move to a system where my PSN account moves with me wherever I go. If I buy Sekiro on my PS4, I don’t want to lose that purchase just because I move forward to a PS5, and I don’t necessarily want to have to keep all my old consoles in order to play old games. I guess what I am looking for is a combination of Google’s all-streaming future and the dedicated console boxes we’ve become used to. I’m not sure I’ve completely bought into Google’s idea of an ethereal gaming network tied only to my account. I need that safety and security of a home base—a central hub to call home and allow me capabilities offline. I want the PlayStation 5. But I also want the boundaries of the console to break, allowing my PSN account to move with me to other places. I want to be able to interact with my gaming even when I don’t have the PS5 on. But Microsoft is Doing it! In somewhat unprecedented news today, it was revealed that Cuphead, the previous Xbox/PC exclusive, is coming to the Nintendo Switch. Now, Microsoft’s been playing nice with Nintendo. They want to key into that “consoles as a service” future that we all know is coming. What’s brilliant about their scheme is that Cuphead on Switch will actually unlock Xbox Achievements. You’ll be able to sign into your Xbox Live account from a Nintendo device. When I think about my gaming history, so much of it has been stored on my PSN ID, from my first trophy more than 10 years ago to just streaming Sekiro earlier today. I can’t easily throw away a decade of history and dedication to a platform just for a chance at ethereal convenience, but I’d love it if that ethereal convenience could be added onto my current profile. If I’ve got the PS5 console as a fallback and an anchor, I’ll gladly embrace a digital and cloud-based future. I’d love to boot up games (or even partner apps) on my phone to work on grinding or other little things while away. It’d be awesome to be able to play a game I own on my PSN account through a browser on my laptop if I am away from home. And then at the end of a long day or even longer week, it would feel good to just come home, lay back on the couch, and boot up the PS5 to see all of that progress and activity linked to one place. I want my PSN account to live both in the cloud and directly on my console. If we want to talk about the era of convenience, then let’s start talking about redundancies and backups. Rather than taking the enormous leap that Google wants to take to the future of the gaming space, I want to evolve the current landscape to support both what I’ve become used to as well as the benefits of that cloud and digital future. That’s the best way to instill comfort in change, and Microsoft proved that trying to make too drastic of a leap would be met with a strong resistance. You don’t drop the frog into boiling water. You slowly turn up the heat. No PSX 2018. No Sony at E3 2019. Sony’s got something up their sleeve, and the fewer places they appear, the less likelihood there is that there plans will leak or their message will be misconstrued, whenever they are ready to deliver it. Remember how Sony responded to the Xbox One reveal? Their own E3 showing later that same year was full of direct jabs at what Microsoft was doing, all while giving the player more of what they wanted. That didn’t mean that Sony wasn’t innovating. It just meant that Sony’s messaging was far more focused on the player than on massive leaps and innovation. Sony’s been keeping up in the cloud/streaming space. They were one of the first consoles to offer community and sharing functionality (now standard across almost every current gen platform). They bought up Gaikai almost seven years ago and have been running PlayStation Now as a veritable Netflix for games for years. Google’s idea isn’t new, it’s just bombastic and flashy. Sony’s got something better though: a preexisting gaming ecosystem. When Sony is ready to deliver their message, I hope we see responses as smartly crafted as the “how to share games” meme with Shuhei Yoshida and Adam Boyes. They need to hammer home why something like Google Stadia just might not be worth leaving PlayStation for, while also offering up innovation of their own. I hope that innovation is a continued investment in PSN accounts and our gaming histories. I hope that my digital library gets to stay with me as I move forward on platforms. I hope that they’ll give me new ways to interact and engage with my gaming experience beyond the console. I just want to take my PSN account with me everywhere I go—into the future and onto other platforms. To me, that would be the ultimate convenience.